Like most other people in the world, I really dislike waiting in lines. There is nothing else that bothers me quite as much as being excited to do something and then having to wait to do it. Recently, my wife and I took a short cruise down to the Bahamas, in which my only goal for the entire trip was to get as much snorkeling time in as possible. When the ship pulled up to the first port at a little island called Coco Cay, I could hardly contain myself as supposedly the snorkeling there was fantastic. That excitement was immediately quashed, however, when I found the 75 minute line to board the tender to shuttle all of the other excited cruisers to the island. Yes, 75 slow moving, agonizing minutes. It was the ultimate buzzkill and immediately dampened my energy by just standing in place. But as I stood there, I did have time to reflect on how the situation looked very similar to that of one in the affiliate channel. When affiliates apply to join a merchant program, that process is often coupled with a lot of initial excitement. New products to promote, new strategies to try out, and new money to be made–who wouldn’t be excited? It is here that this excitement can be capitalized on or wasted by the merchant. Savvy program managers are always on-the-ball with new applications, approving and denying as they see fit, but doing so in a very timely manner. Some programs even opt to utilize an auto-approve setting to get affiliates in on their programs and live as quickly as possible, although it’s not a setting we recommend. Rather, AvantLink highly encourages merchants to manually review and approve each of the affiliate applications that get submitted to their programs. This shows that the program manager not only cares about the affiliate relationships they strive to build, but is responsive to the affiliate’s needs. What Happens When There’s No Action? As many affiliates can attest, not every manager is as quick and responsive as desired. In the early days of AvantLink, one story we heard again and again from affiliates was a tale of applying to a program and having their application be sent straight to affiliate purgatory. The affiliate wasn’t denied access to the program, but because an unresponsive program manager was at the helm, they weren’t approved either. The application just sat there. For a week, a month, even a year in some cases. And the initial excitement from the affiliate? Gone, baby, gone. But not to fear, affiliates, this nightmare scenario does not come to fruition on AvantLink. When an affiliate applies to join a program on AvantLink, the manager of that program is given a review period of seven days to either say yes or no to your participation in the program. If no action on your relationship status with that program is taken at the end of the seven day review period, your application will be automatically approved and your status with the program will be listed as ‘active’. Affiliate’s that are a sub-affiliate network. An affiliate that utilizes browser extensions, add-ons, or toolbars. If you’re an affiliate that falls into either one of those categories, a manual approval process will be enforced. Also remember that even if you get approved to a program after the seven day time frame has passed, a merchant can still choose to change the status of the relationship at any given point. Otherwise, don’t expect to wait in the digital version of my 75 minute snorkeling line and keep your excitement about joining that new program and promoting that new brand! 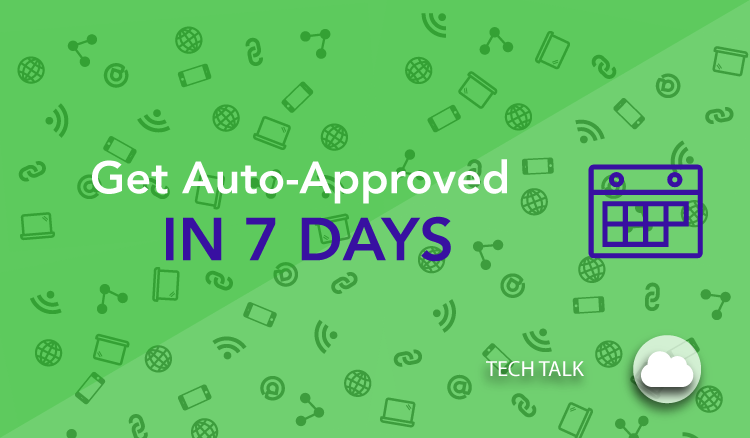 Next → Next post: Merchants- AvantExpo Early Bird Pricing Ends Soon!